I was hoping to like this one. The premise sounded fun, but I didn’t expect to love it. But love it, I did. 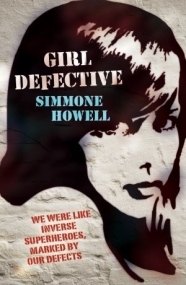 Girl Defective is very near unputdownable. It was struggle come bed time when ‘just one more chapter’ turned into five. 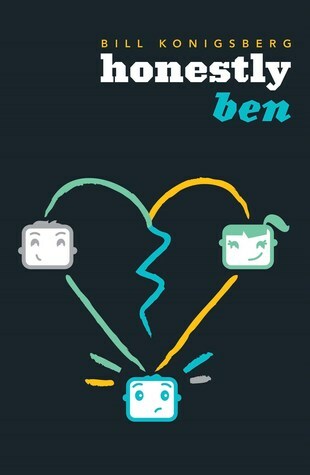 Filled with such engrossing, realistic and distinct characters, I felt like I’d picked up a John Green novel. Steeped deeply in family issues, the main character, Sky, holds herself out as the only semi-sane one amongst them. Very easy to connect with, her own angst seems to play second fiddle as she navigates the craziness that keeps gravitating around her. Set in Melbourne, with its home base in Sky’s father’s vinyl record shop, it should be no surprise that music references pop up on more than the odd occasion. The shop feels like a character in its own right, its regular bunch of eclectic customers, the precision of wits needed for buying records in, the Elvis standee… With the characters bouncing in and out of the family shop, it’s refreshing to read a book where the main character’s home life isn’t non-existent. And though there’s no massive plot to speak of, Sky and her little spy-wannabe brother, Gully, do spend the bulk of the book each trying to solve their own local mysteries. Gully’s even include profiles on characters in Sky’s life as he meets them and memos he’s drawn up revealing clues obtained along the way. It’s kind of fun, adding something different to drama going on in their lives. Dealing with her brother’s tics and tantrums, Sky tends to humour, letting him go along on his mission, often leading them into many sticky, and not quite legal, situations. For a secondary character, Nancy really held her own. About four years older than Sky, she was the one guiding her, moulding her into a freer version of herself. With a range of personalities, Nancy changed with the situation though usually retained one aspect of it… she was wild. She swore, stole, spoke without a filter, definitely wasn’t someone you could really rely on, yet Sky still idolized her. I know I wouldn’t get along with her in real life, but she was damn addictive to read. I was constantly finding myself shocked at whatever she would come up with next. Not to fall short, there’s also a romance in this one. It’s not very well developed, but it’s sweet. Girl drops food on boy, boy gets a job at dad’s shop, boom…attraction sets in. Okay, there’s more to it than that, but you get the gist. Honestly, I enjoyed it. I thought they made a cute couple even with the slight age difference. Both of them broken in different ways, their personalities seemed to mesh well. Plus, he was definitely a lot better for her than Nancy. Consistently addictive, Girl Defective never lagged. I turned the last page, seeing the ‘Acknowledgments’, and wished there was still more to come—that’s a sign of a good book. Those who’ll enjoy a contemporary full of dysfunctional functionality. I was hoping to like this one as well and like you I totally did! It was a very quirky book . . . it was just something really different compared to most YA contemporary books that I’ve read in the past and I think that’s what will appeal to most people. Anyway, great review! I’m glad you enjoyed the book too!